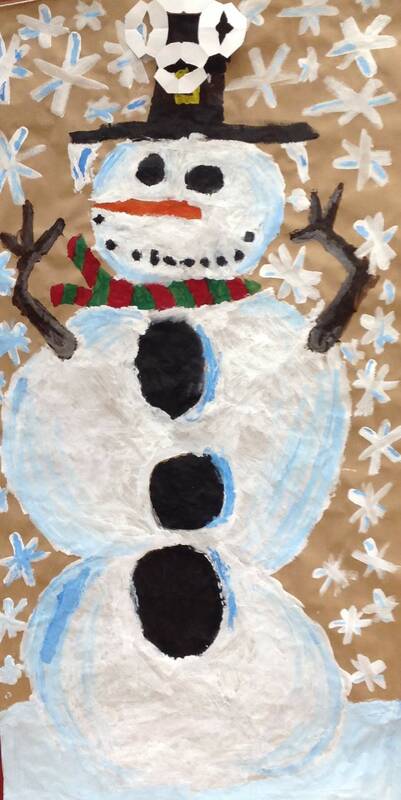 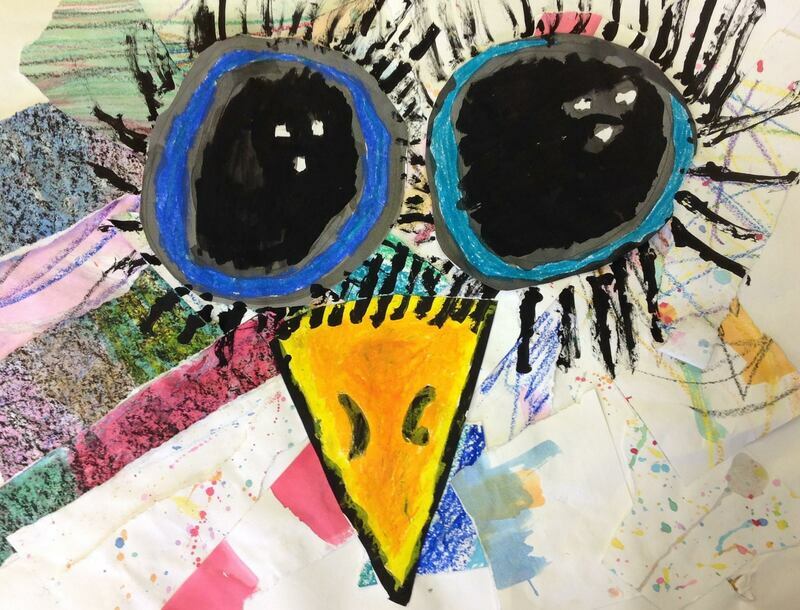 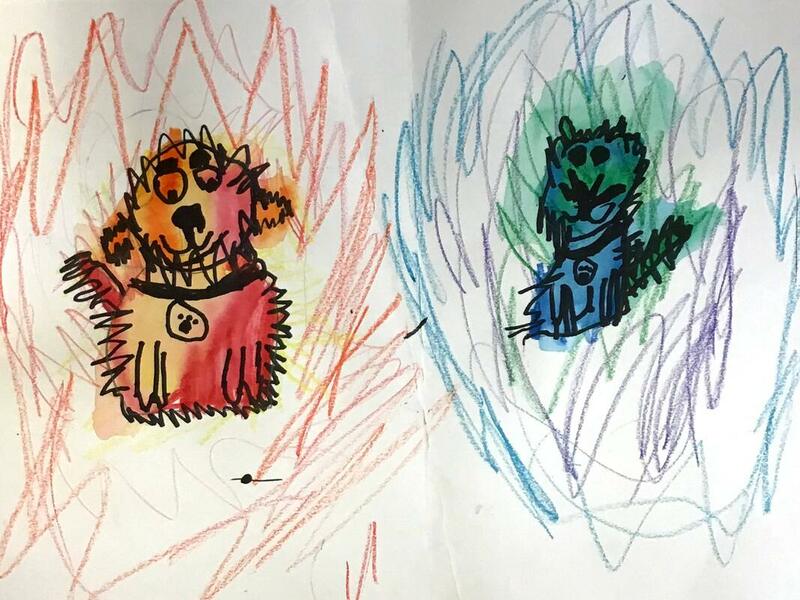 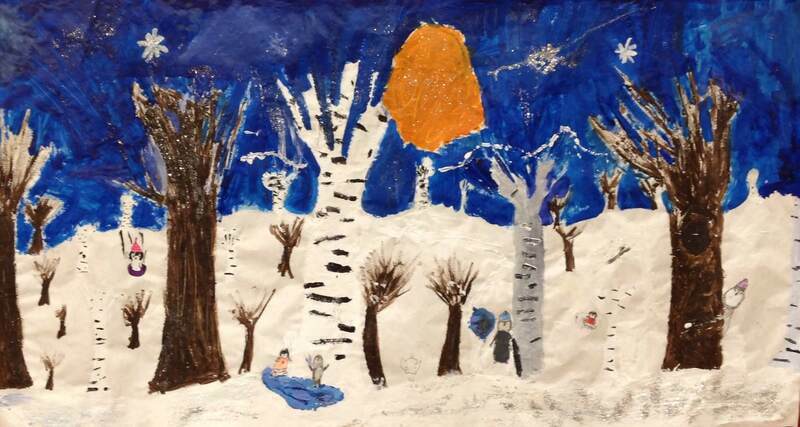 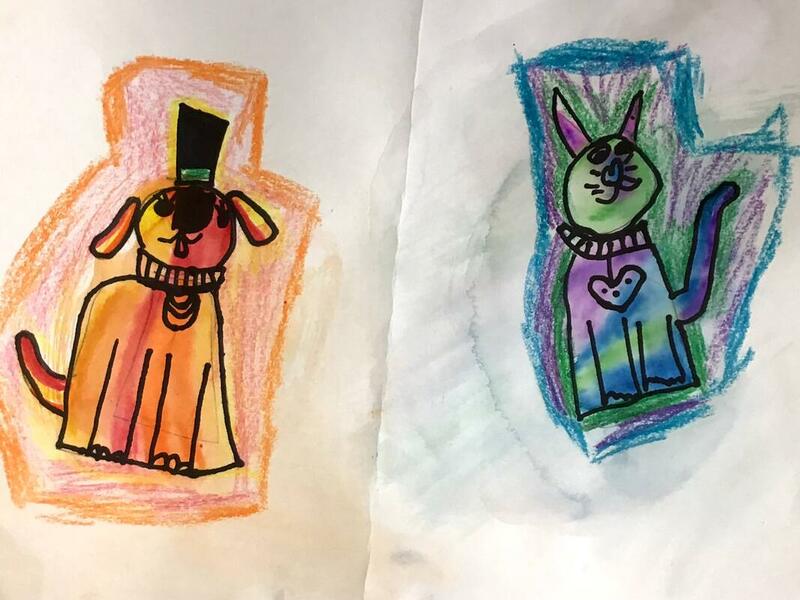 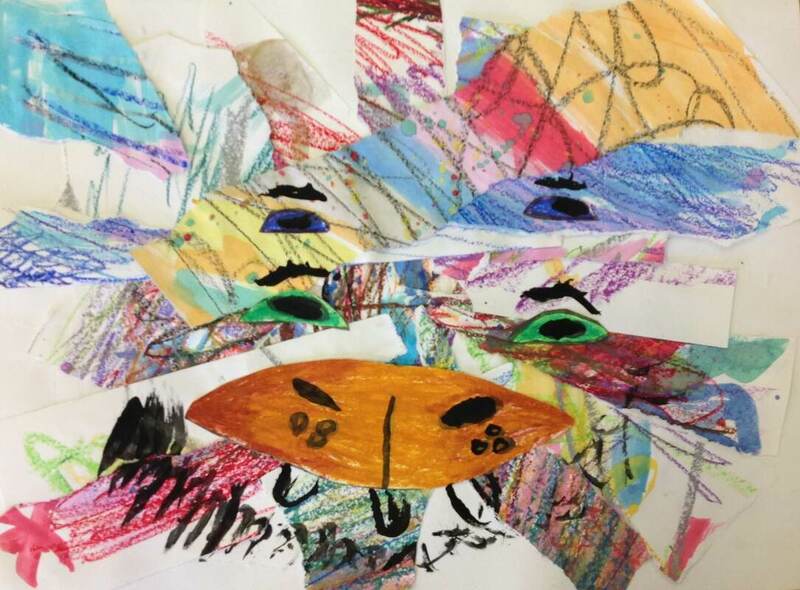 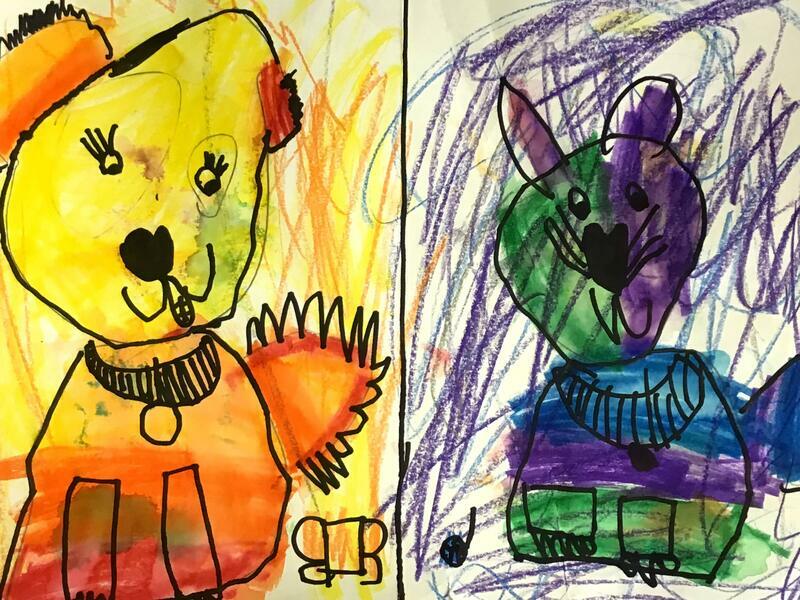 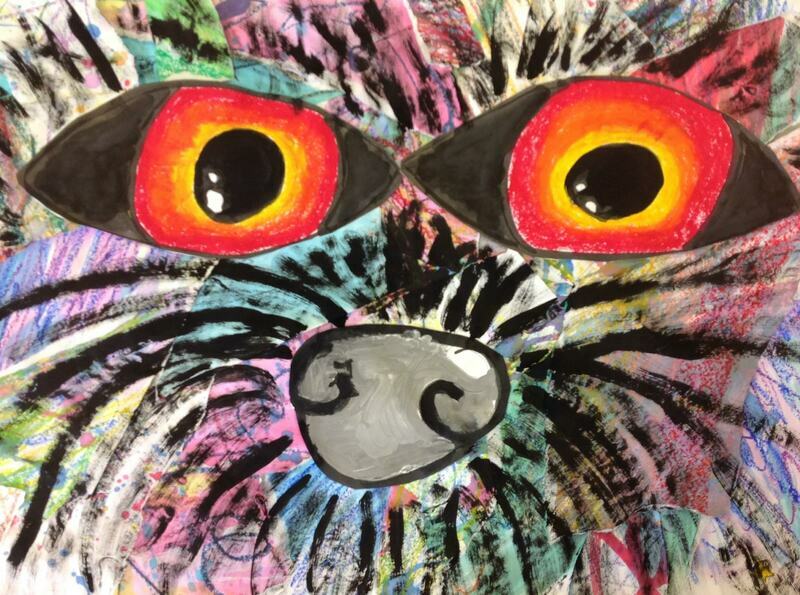 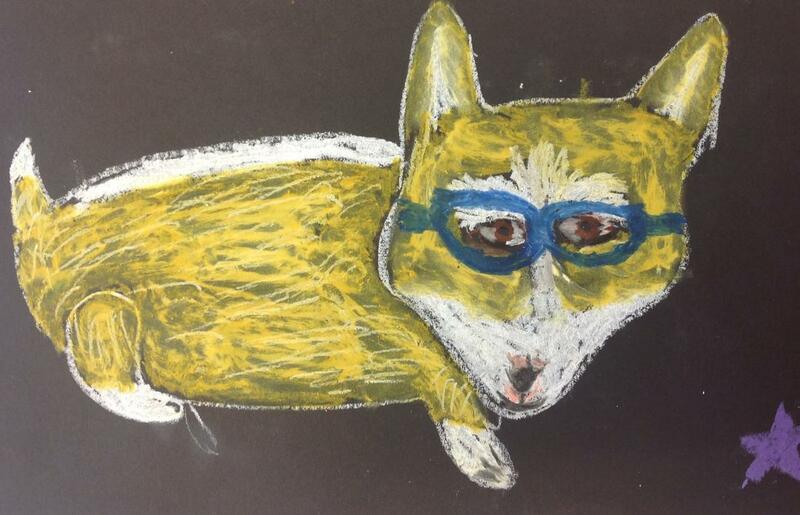 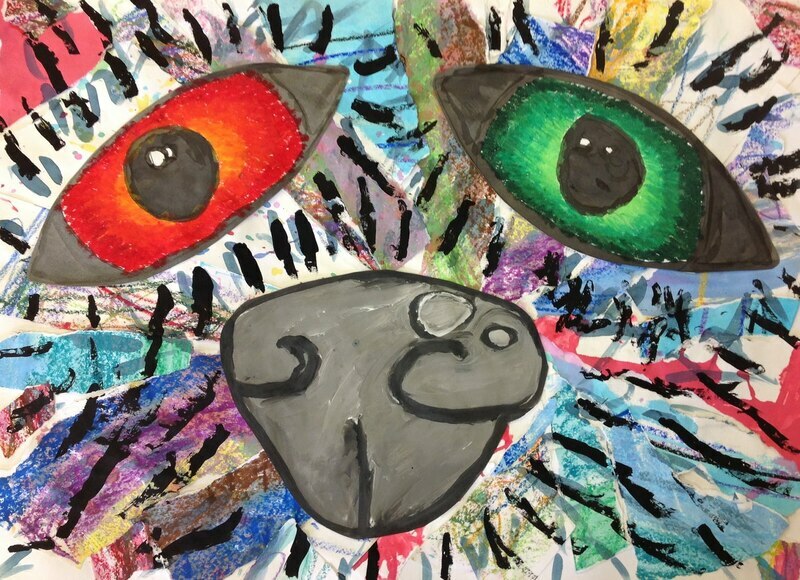 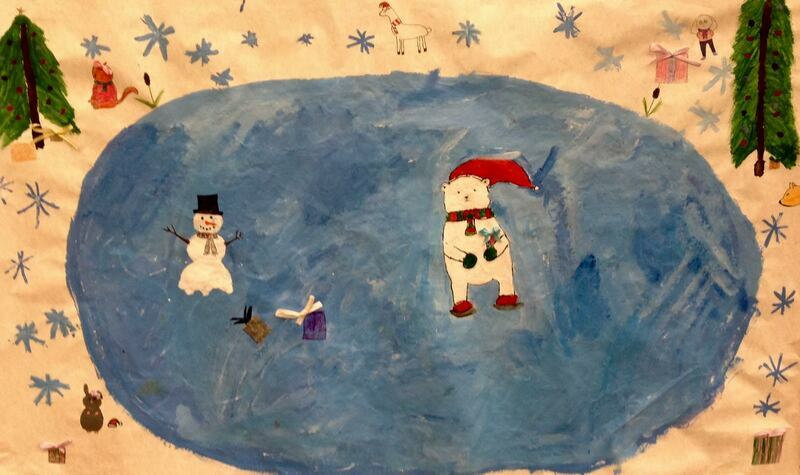 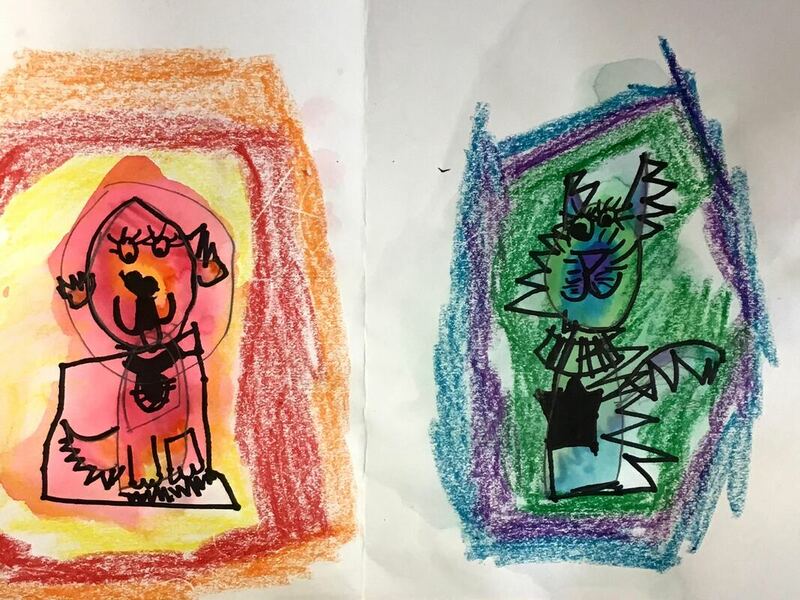 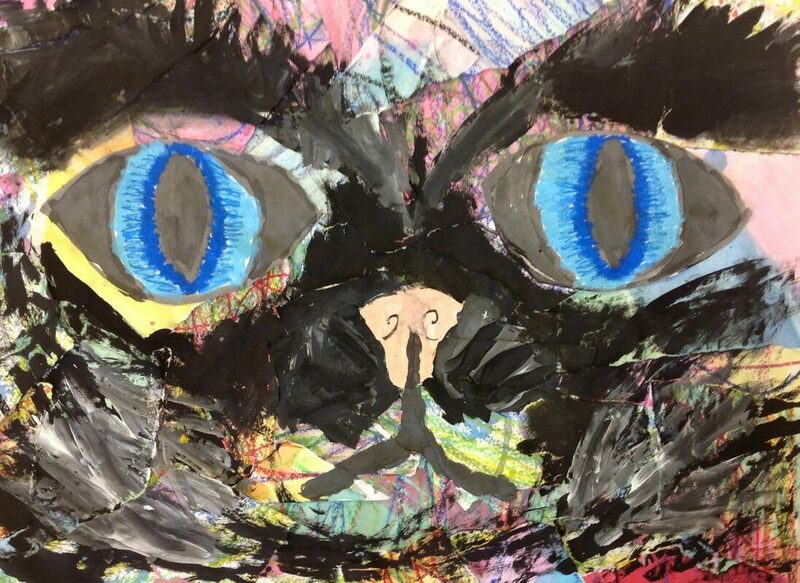 Please click on your child's grade level to see what we are doing in Art. 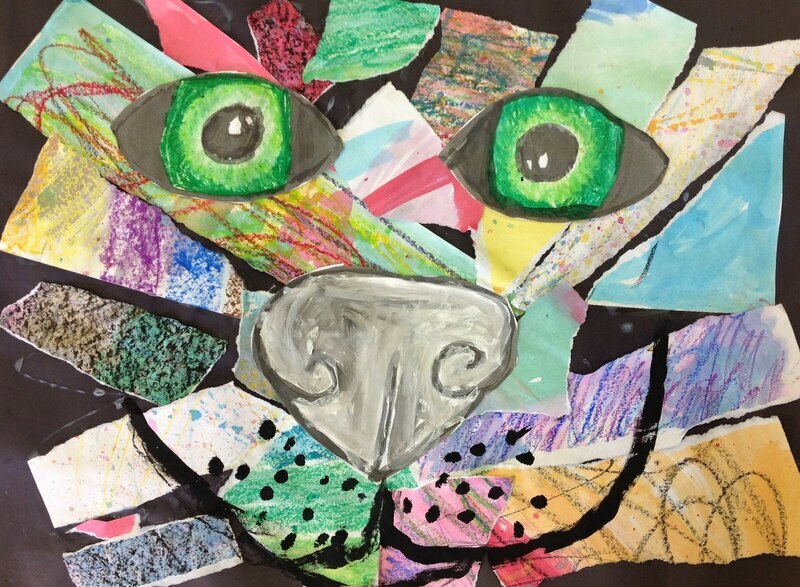 5th graders are asked to submit a portfolio in order to be in Art Club. 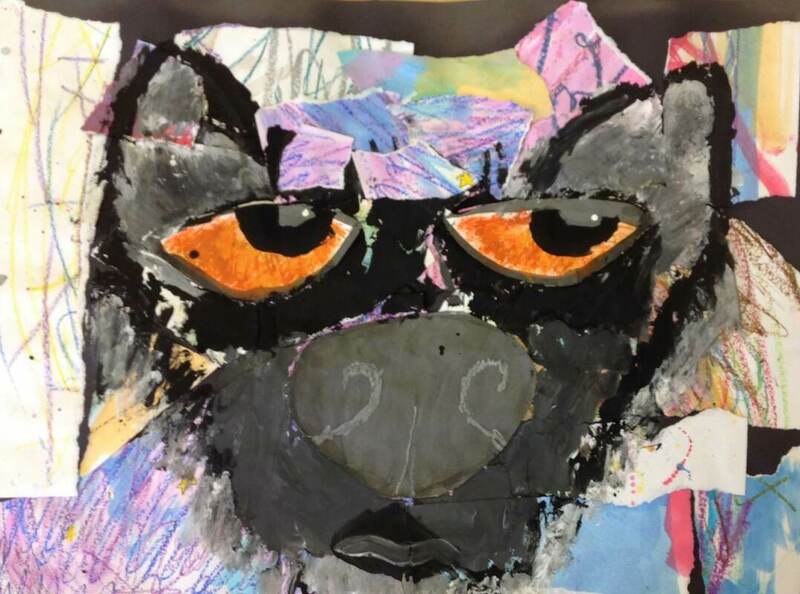 We meet once a week and the students are able to explore and learn about materials in ways we don't have time to during class. 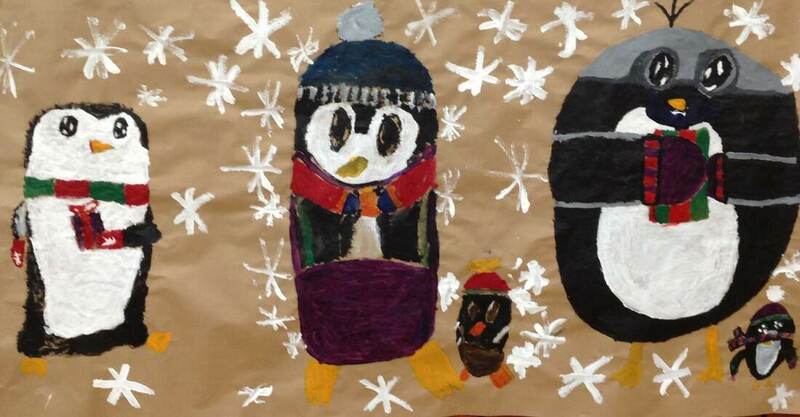 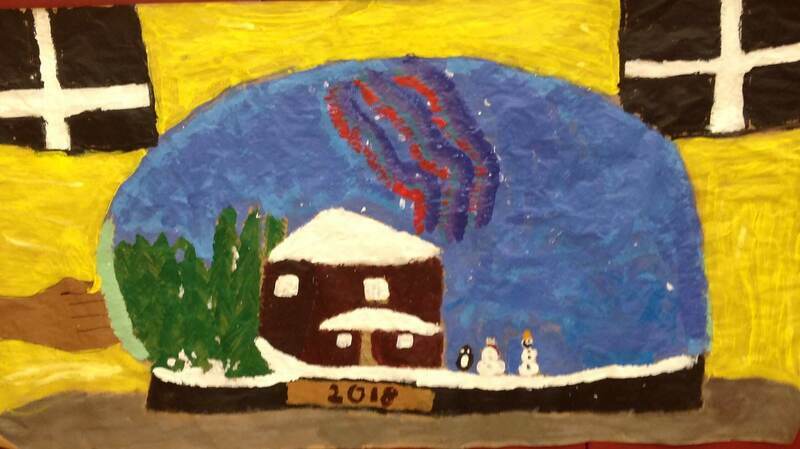 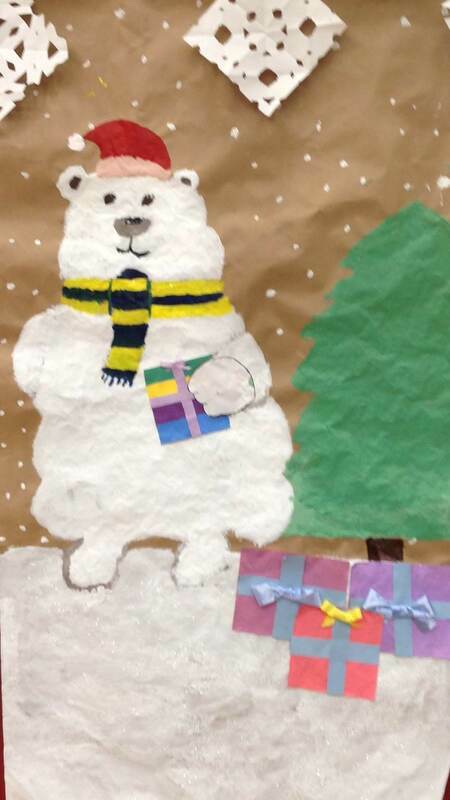 Art Club members came up with their own designs and then worked in groups of 3-5 to create decorations for the winter concert. 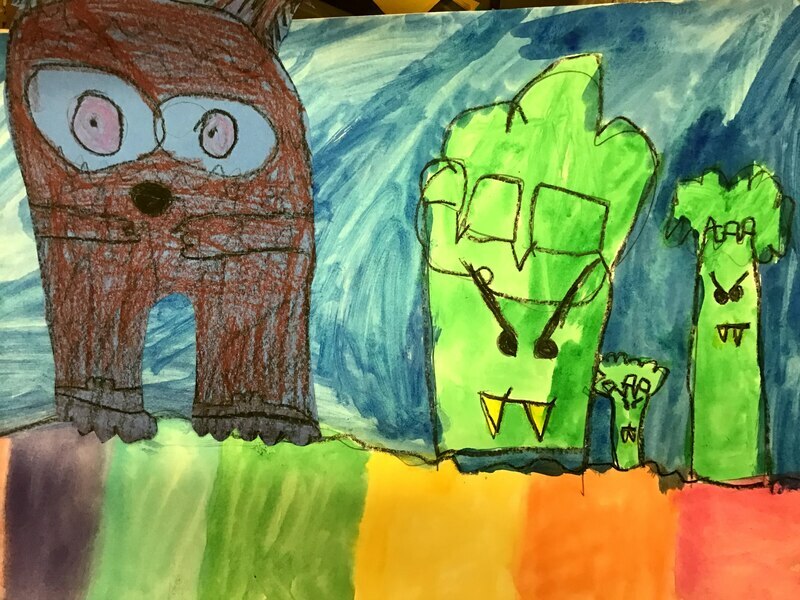 This was challenging for them because they had to think about how to make their subject matter large enough that it could be enjoyed from a distance. 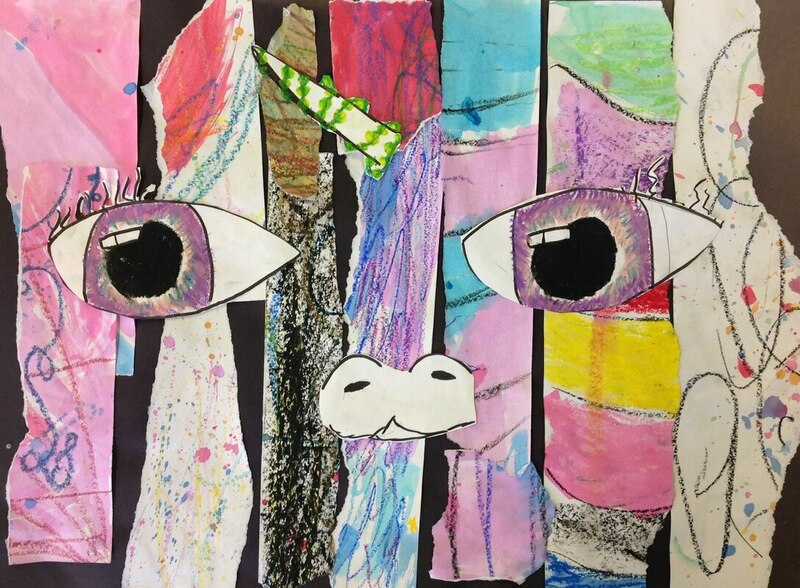 Art club students enjoyed all the different media involved in making these huge (18x24) collages. 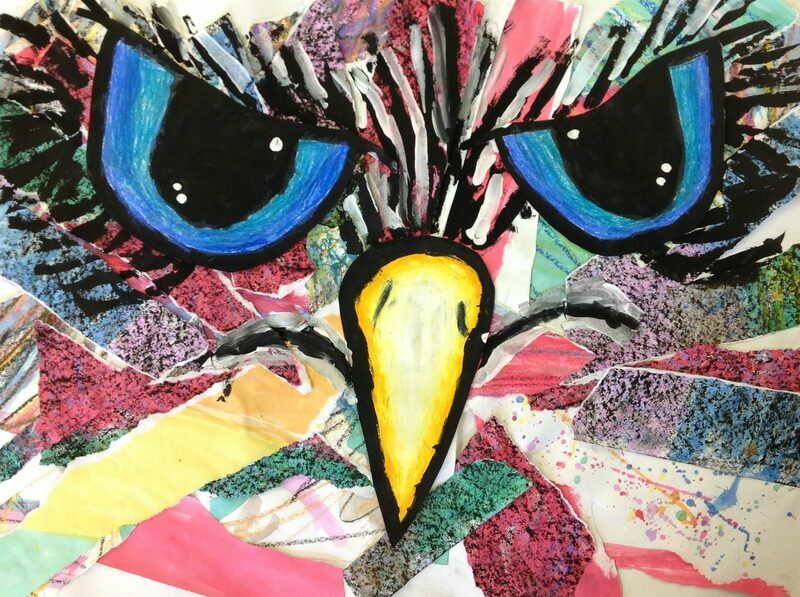 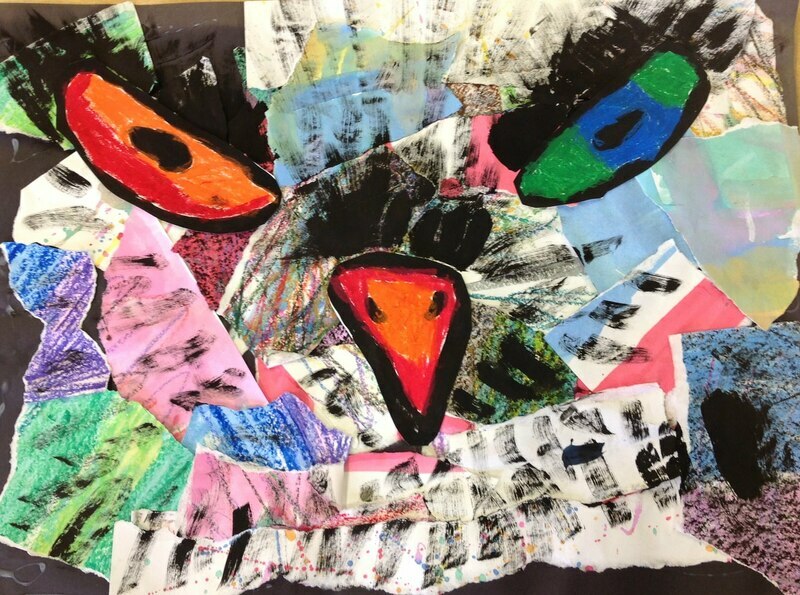 We used watercolor, ink, pastel, pencil, tempera paint and different types of paper to create these abstract animals. 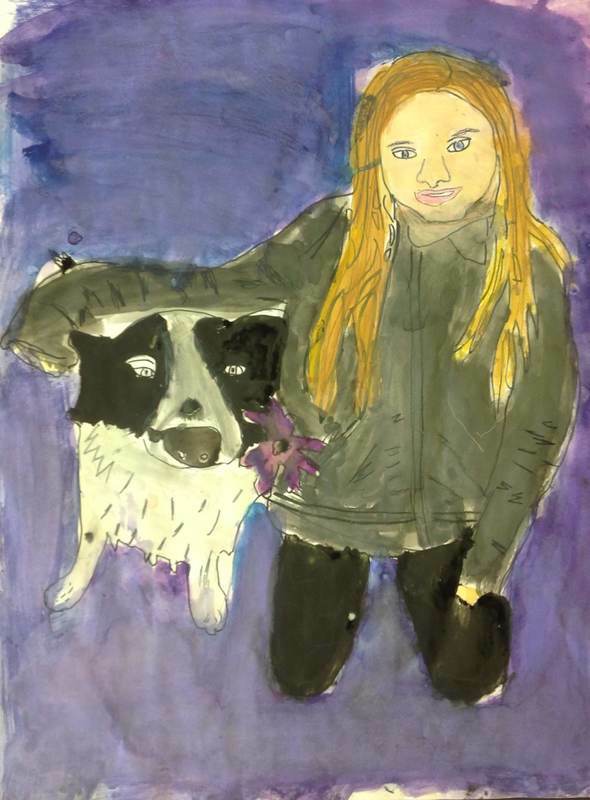 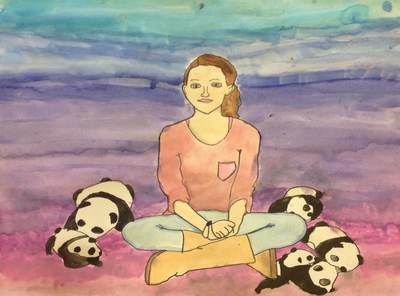 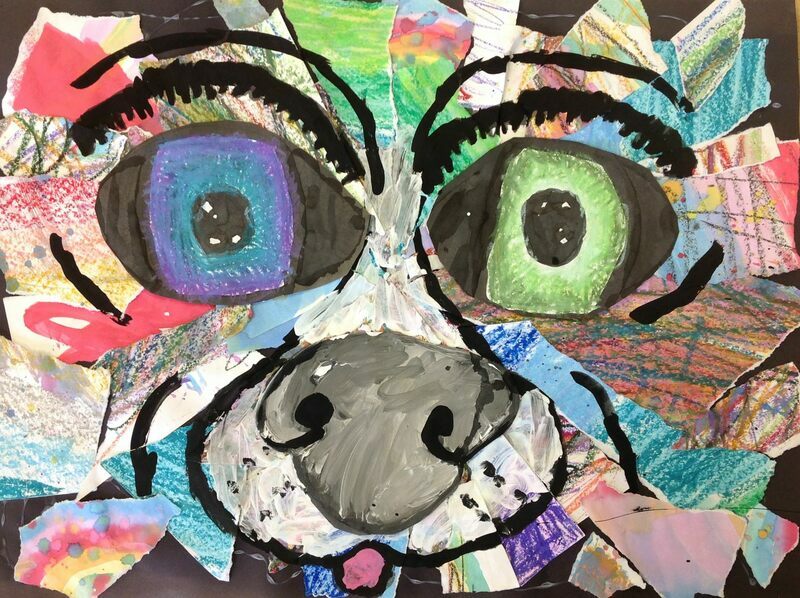 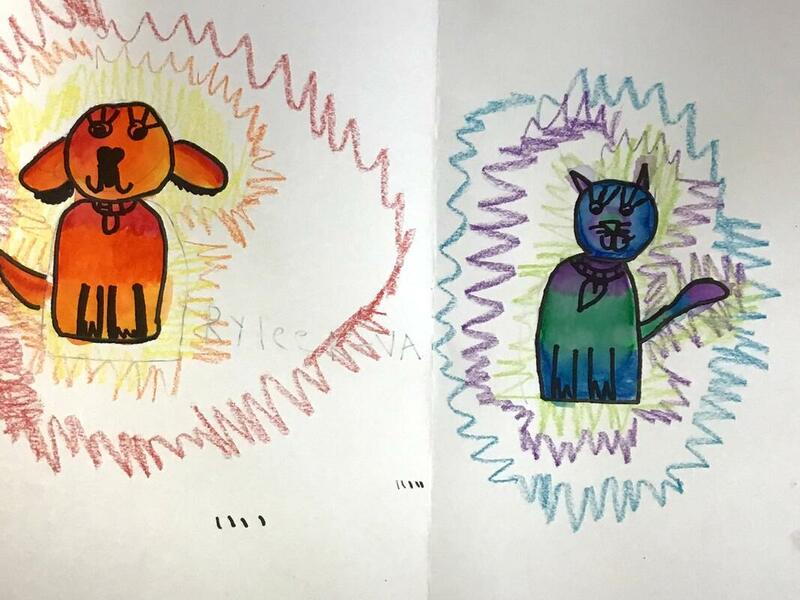 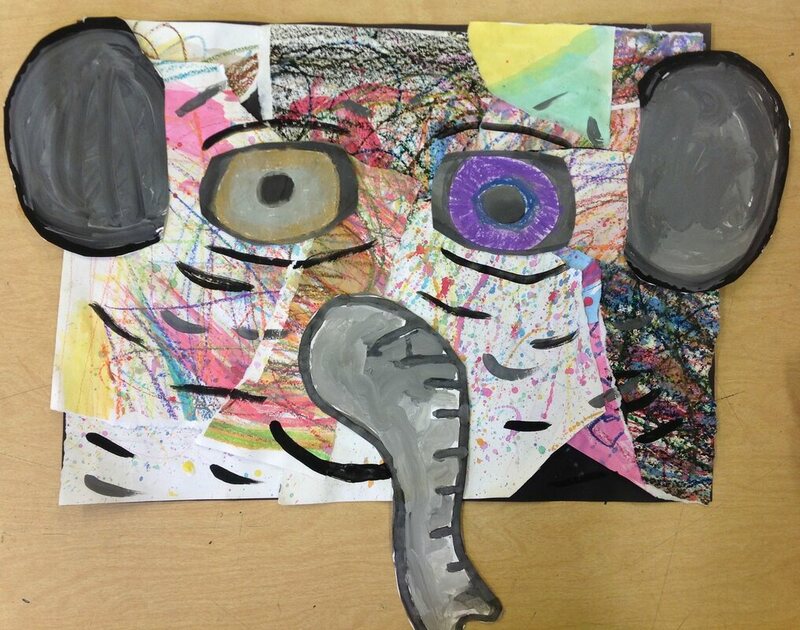 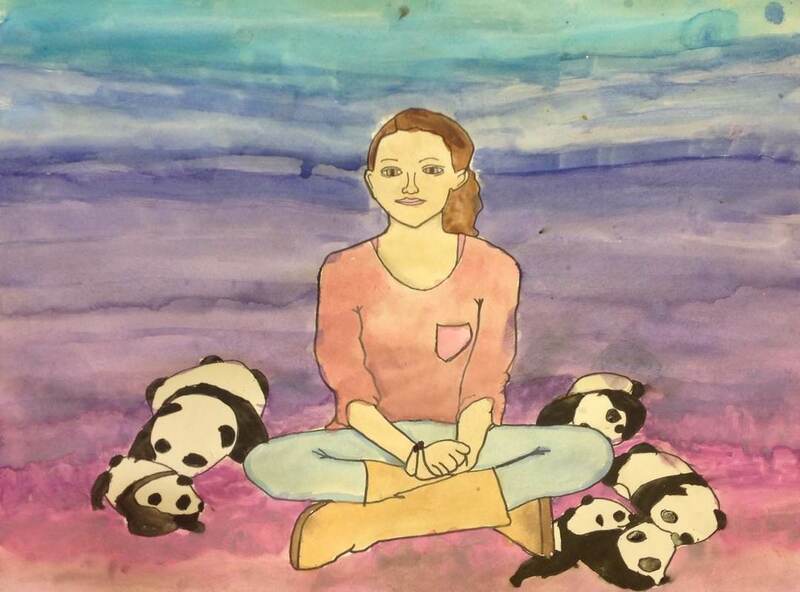 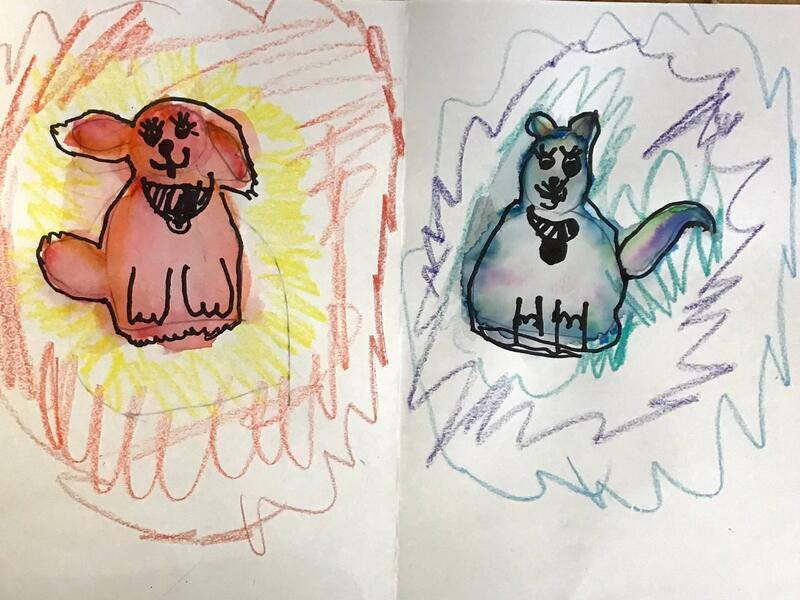 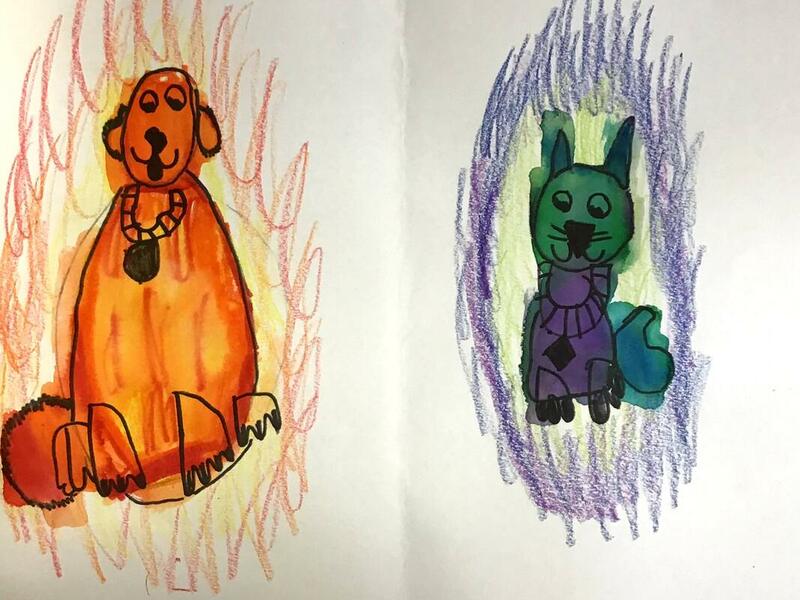 Students chose an animal to combine with their portrait. 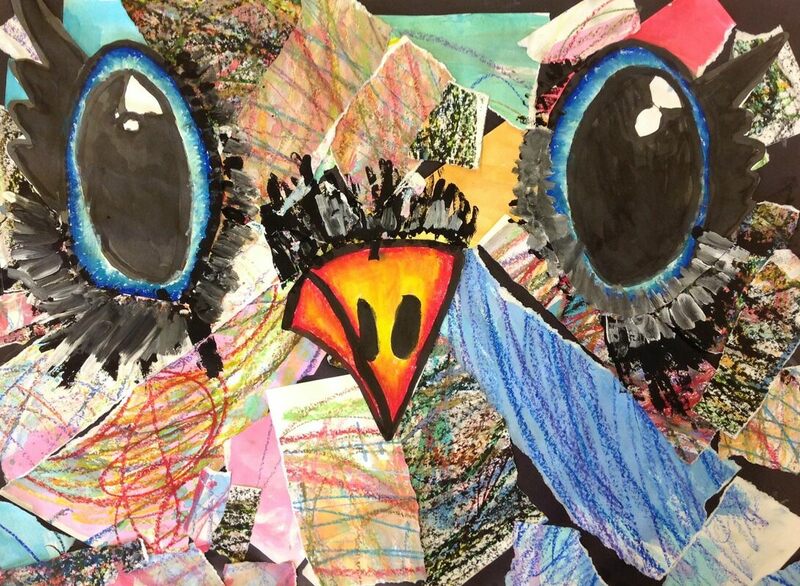 We spent three weeks planning and sketching, then two week painting and another week adding details and texture with colored pencil. 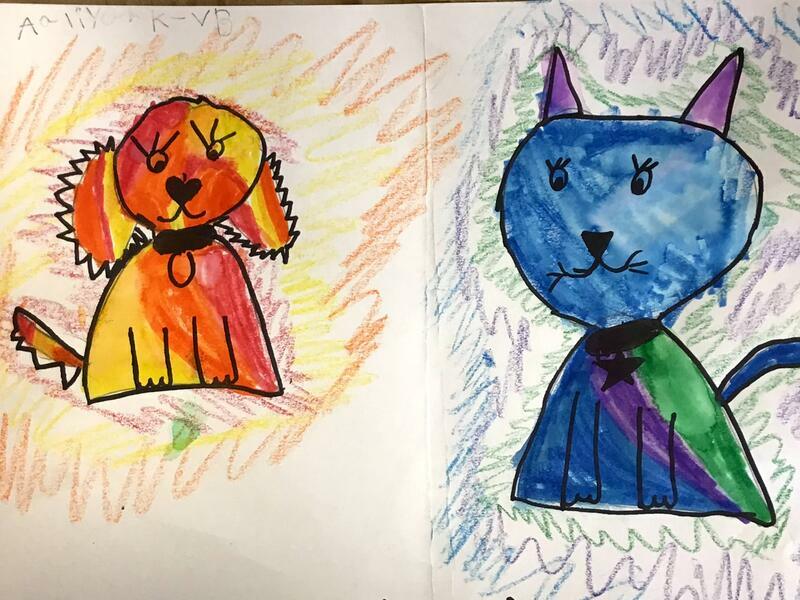 This project is a real hit. 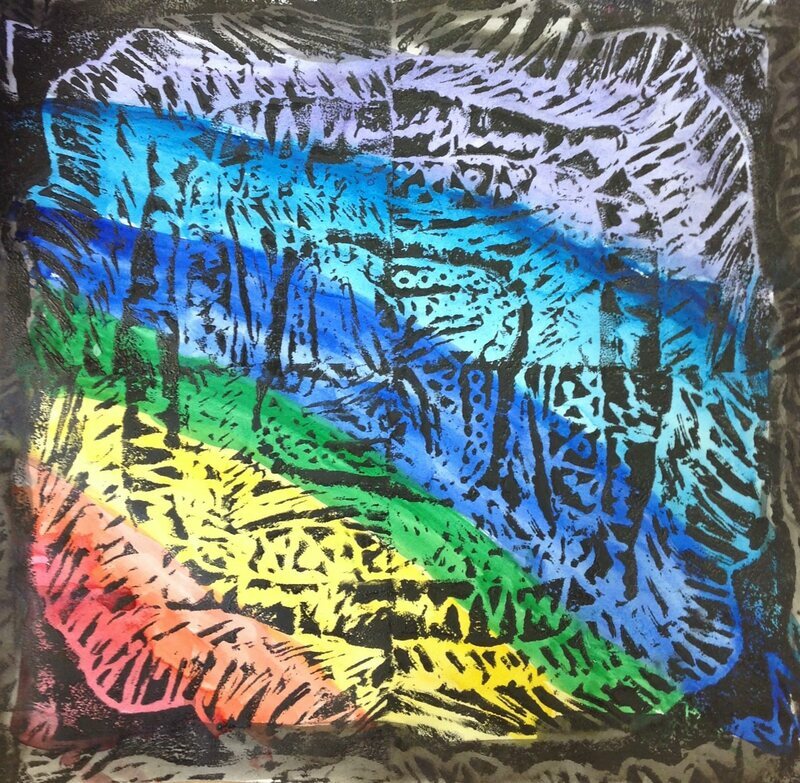 Students used shaving cream and liquid water colors to create a marbling effect. 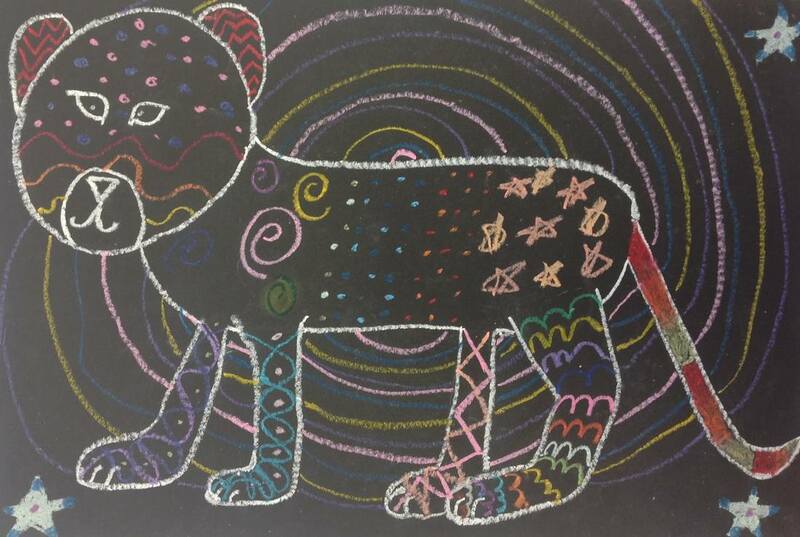 After the projects were dry we added colored pencil for definition and depth. 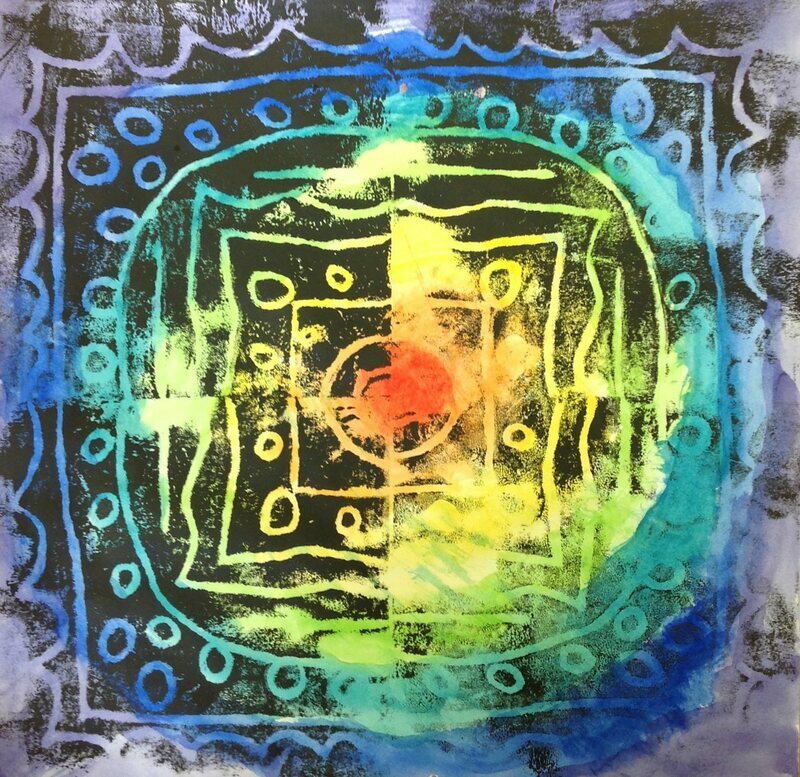 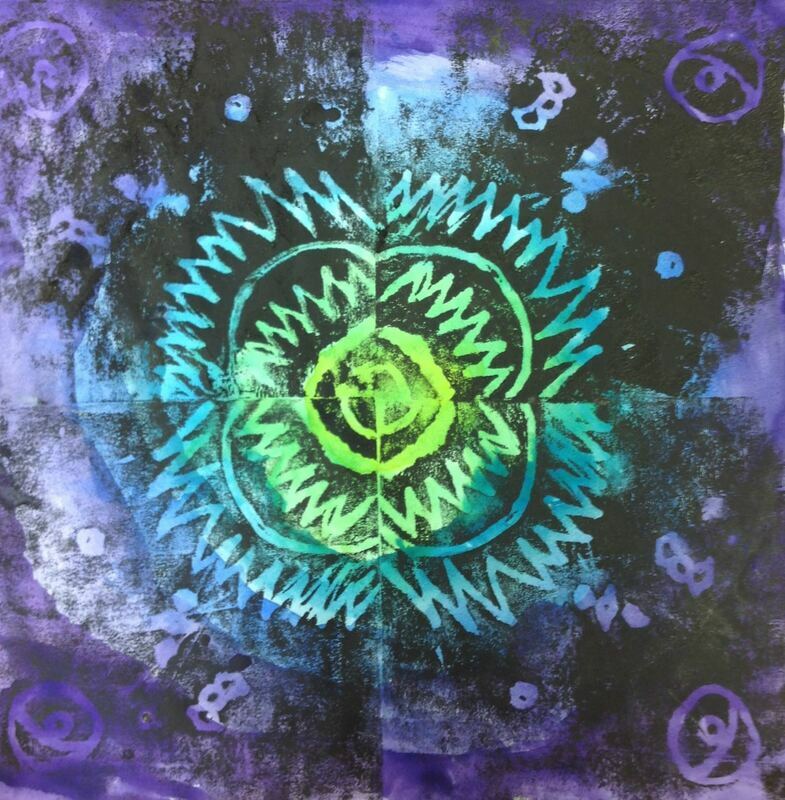 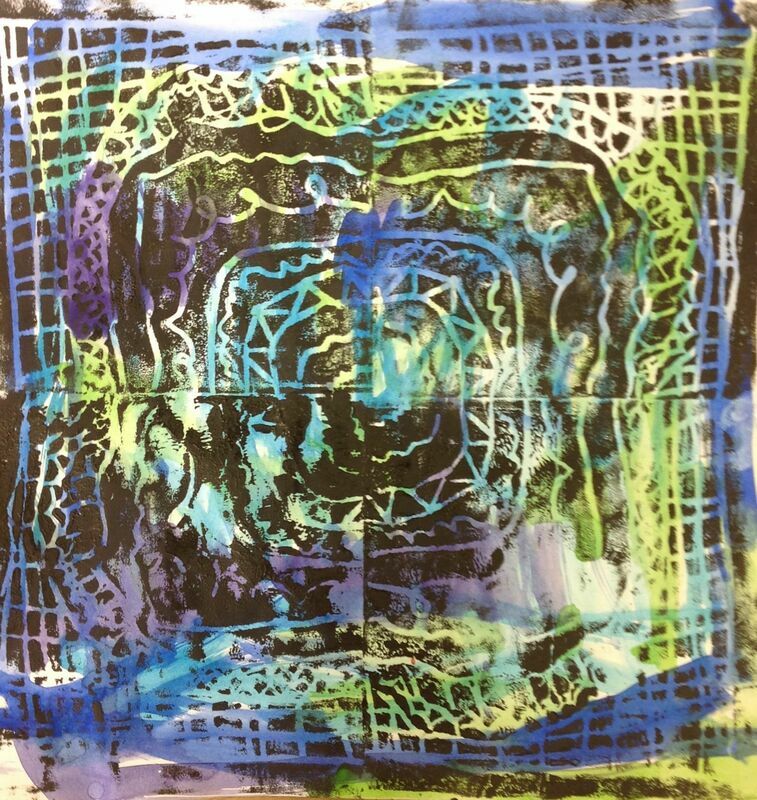 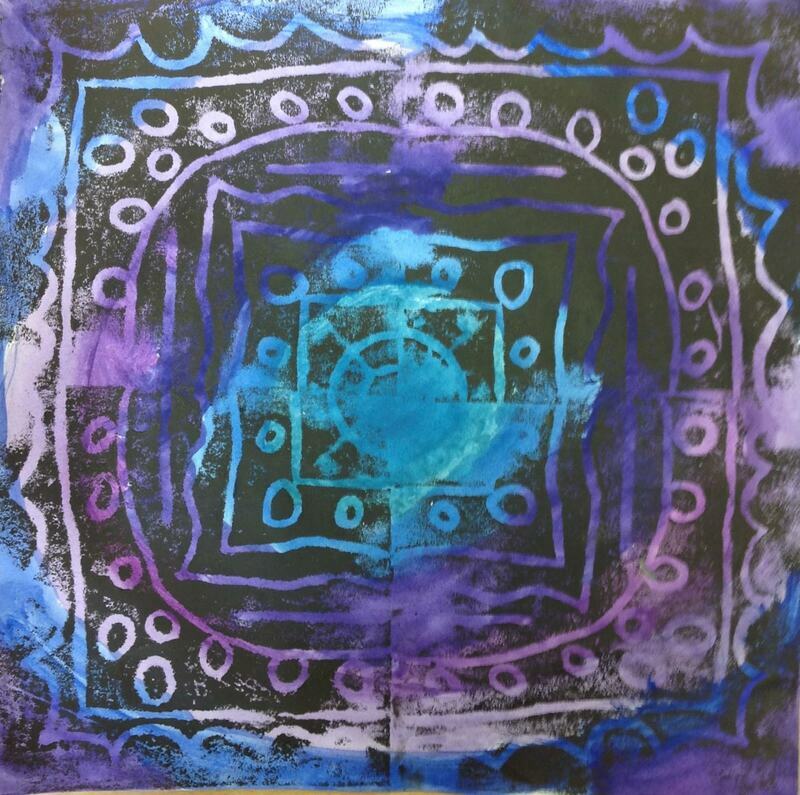 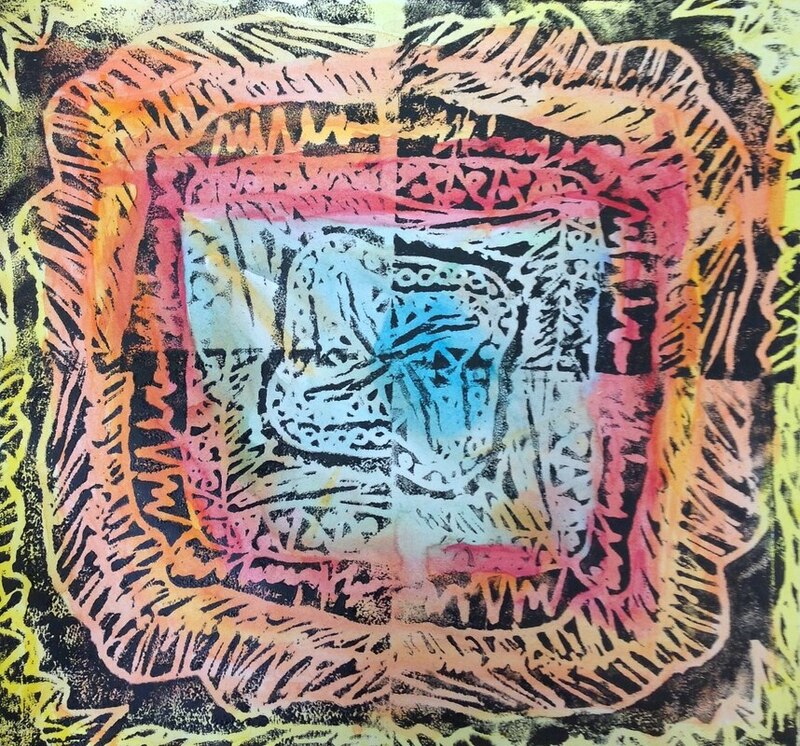 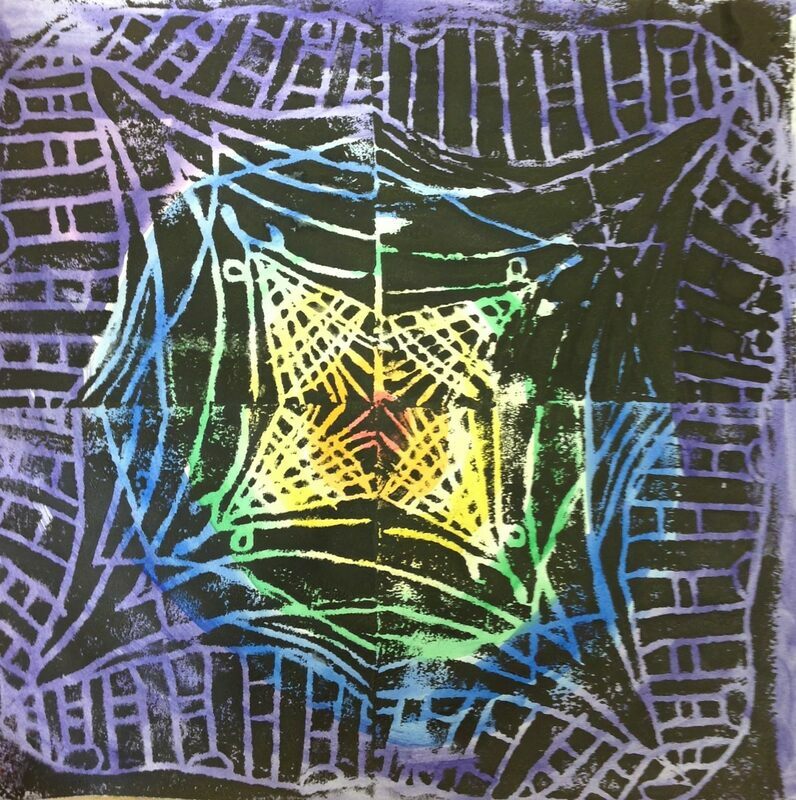 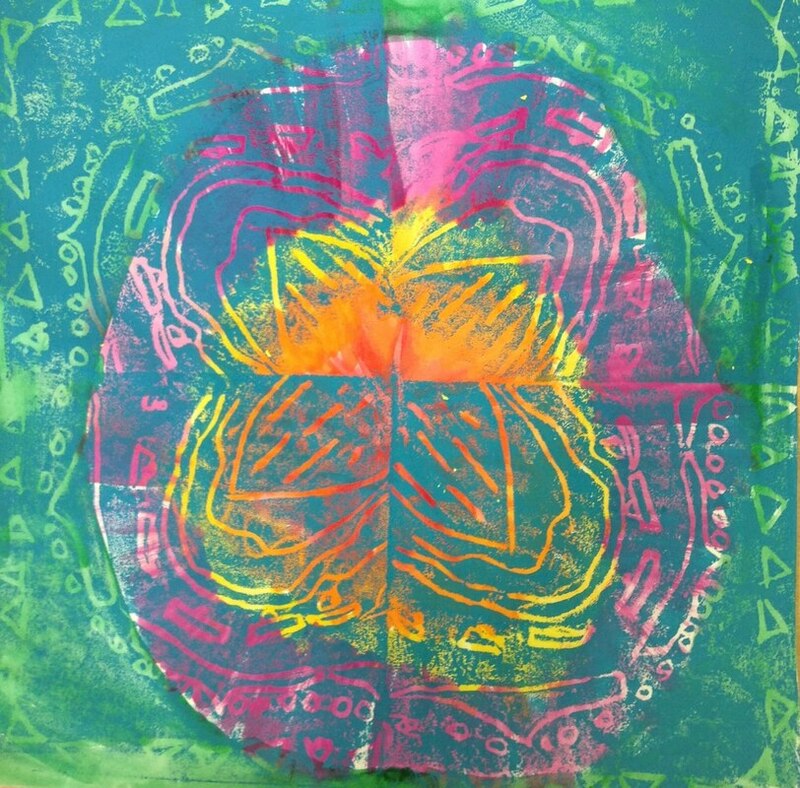 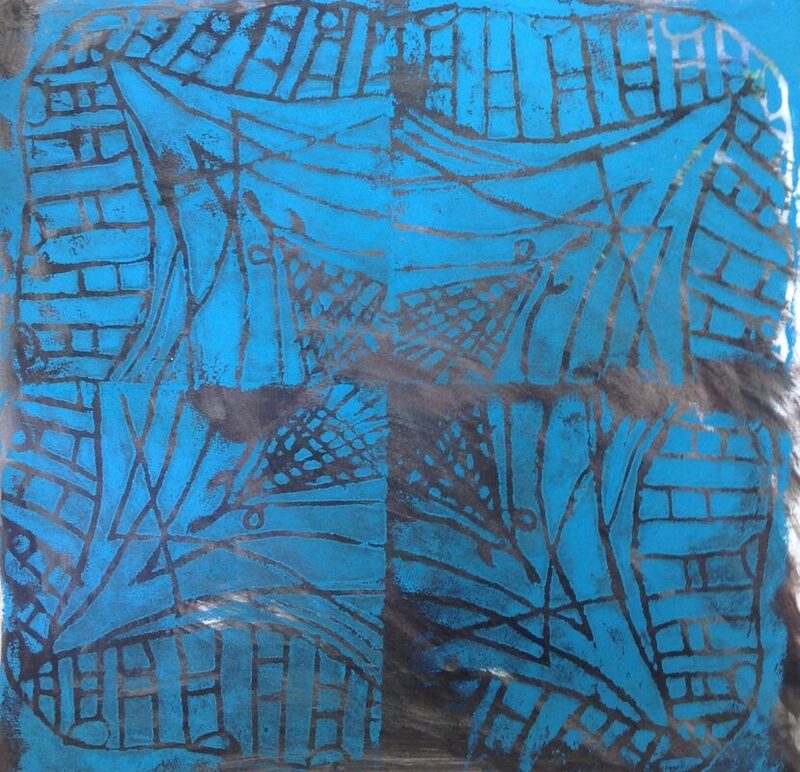 Students created a small square print that would connect with other prints to made a radial design. 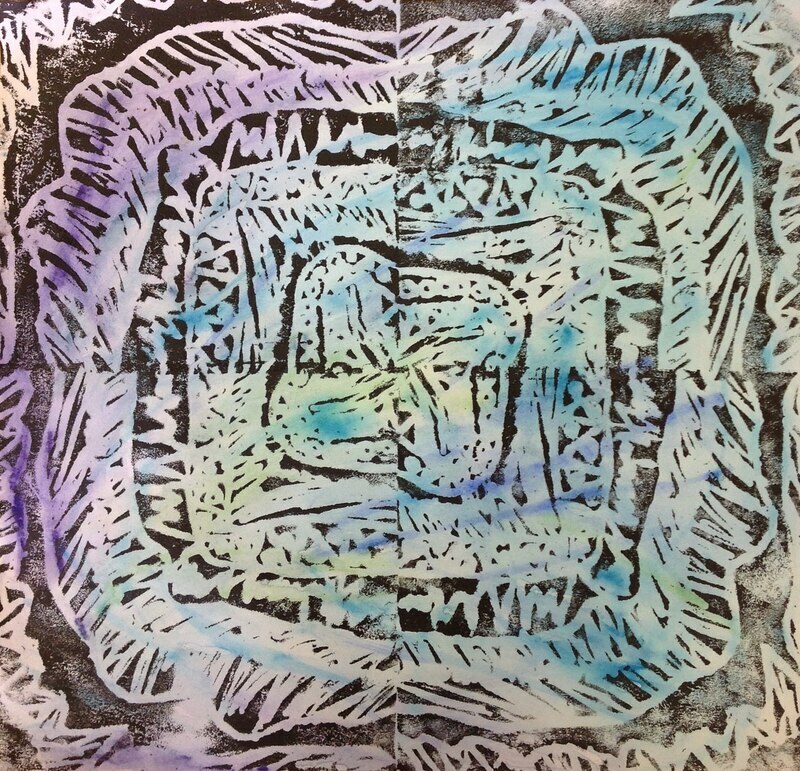 We used rulers to measure where lines should start and stop in order to make sure the prints would match up. 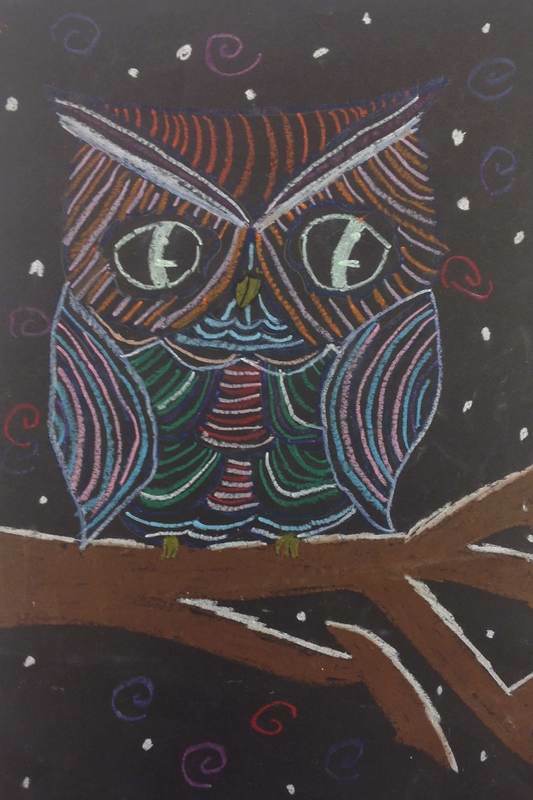 Some students chose to create a watercolor background and some used pastels. 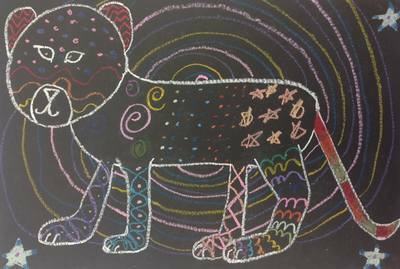 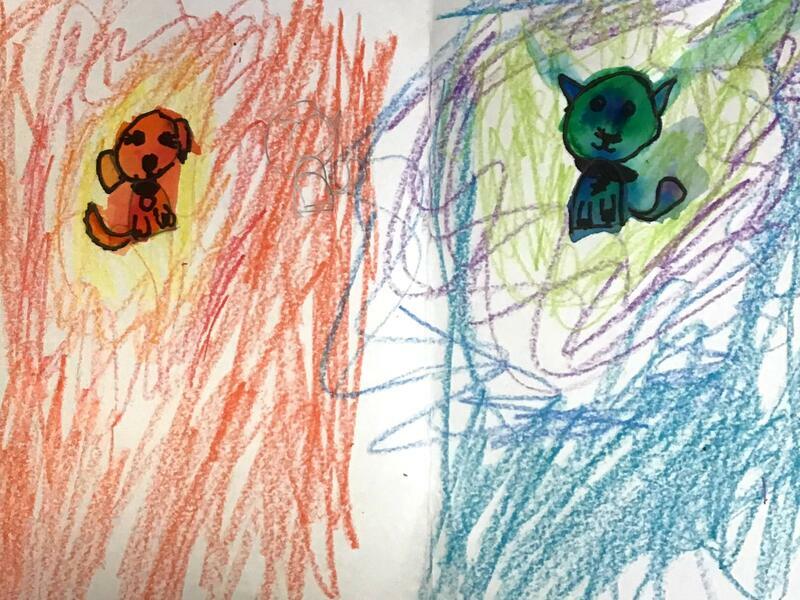 Students were surprised at the difference the color of paper can make when we used pastels on black paper to draw animals. 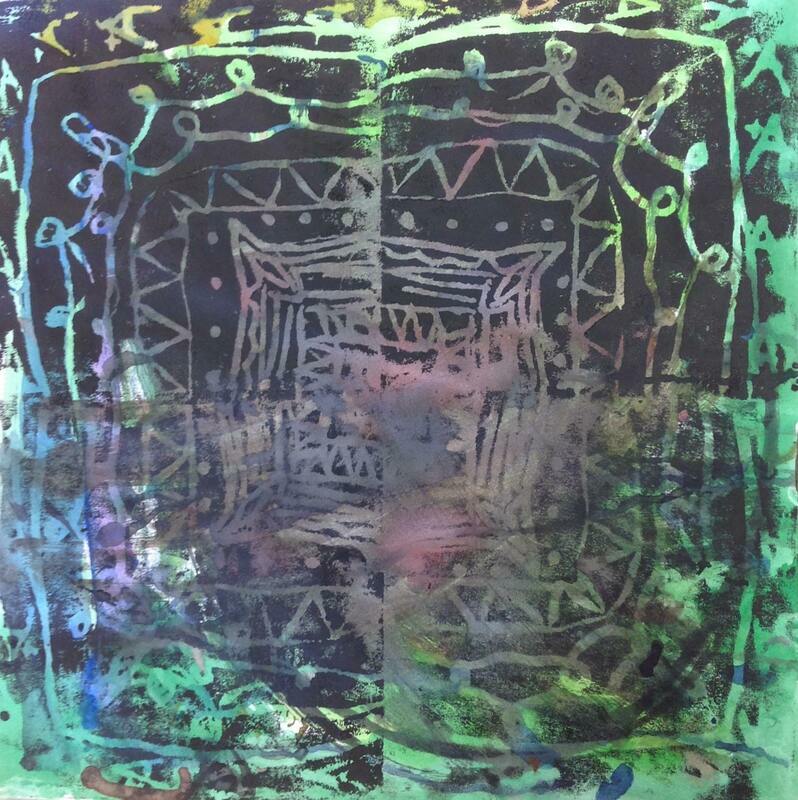 As students working at different paces, my early finishers often have the opportunity explore painting in new ways.